Home Informations Guides and Advices for Chihuahua How to Care for Chihuahua Ears and Eyes, Guide and Advices. How to Care for Chihuahua Ears and Eyes. Chihuahua, like any other thoroughbred dog, needs extraordinary care. When thinking a new breed to buy, always conscious. Read what you can and ask other people who have a certain kind of opinion. The more information you have, the happier you and your dog will be. There are different views about how often Chihuahua is bath. Bathing frequently can dry out the natural oils on the dog coat, which may result in itching and dandruff. Others say that using shampoo occasionally with a special shampoo improves the shine of the coat. Another suggestion is to bathe the Chihuahua once a month. Ask your veterinarian or local pet store what they suggest. For more info: Bathroom & Hygiene of Chihuahua, Guide and Advices. How to take care of the chihuahua’s ears. When caring for a dog, the ears are frequently forgotten. The ears of Chihuahua are not more sensitive compared to other dogs. But it is still advisable to check Chihuahua’s ears at least once a week. If the ears are too dirty or contain a lot of wax, it is best to clean them. It is best to do it with a piece of clean cotton. Take a piece of cotton and dip in a bit of warm water. This is the best technique to clean the dog ears and remove excess wax from the ear. It is better not to use cotton pads or swabs because some pieces may remain partially in the ears. Never go to the ears with object! Instead, you can always ask your veterinarian to recommend a bottle of ear cleaning solution. When you omit the ear cleaning routine, the dog has a high risk of ear infection. Chihuahua with an ear infection can make your life miserable. 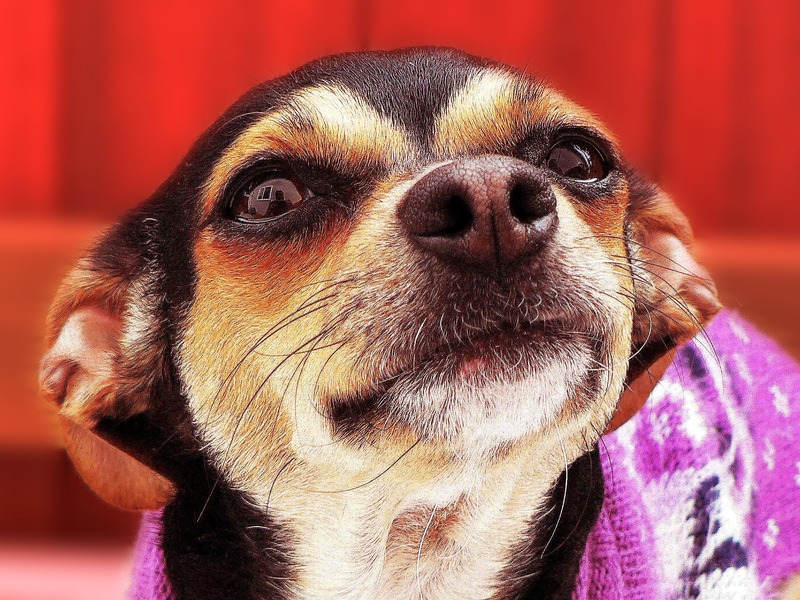 If you see that your Chihuahua dog is often scratching his or her ears, it is likely to have an infection in the ear. Another indication that your dog has an ear infection is when they aggressively shake their ear. Ear infections are usually caused by yeast or bacteria that breed within the ear. In general, the dog’s eyes should be cleaned daily. Pus and tears dry and end at the corners of the eyes. This can be easily removed with your finger or tissue. When you see that your pet is irritated, you can clean the area around the eyes (but not the eye) with warm water and tissue. If the inflammation continues, it is important to visit a veterinarian who can prescribe the ointment. Sometimes irritation can only be treated with an ointment. How to take care of the chihuahua’s eyes. Chihuahua’s eyes are a little special. Dogs with swollen eyes like Chihuahua require attention more than other dogs. Cleaning the eyes takes only a few seconds a day and is generally good. When you see the yellow puss in the corners of the eye, it may indicate an infection. Eye drops can bring salvation to the problem. The large eyes of Chihuahua attract dust and dirt. Being very close to the ground, they will pick up a lot. Therefore, Chihuahuas produce tears to cleanse their eyes. It is normal to see the area around the eye slightly moist. Tears should be clear with water consistency. If the tears have any other appearance, discuss with your veterinarian without delay. Previous articleChihuahua Senior Dog Care, Guide and Advices. Next articleHeart and respiratory problems in Chihuahuas, guide and advices.